Don’t you just love it when one of your favorite songs comes on the radio, especially a song that you haven’t heard in a while? Yet even though it’s been a while, you still remember some if not all of the lyrics, and there are distinct memories attached to the song. That’s what happened to me as I was driving home recently when “Summer Breeze” by Seals & Crofts started playing on the radio… “Summer breeze makes me feel fine, blowin’ through the jasmine in my mind.” As I was happily singing along, warm memories from my youth started replaying in my mind like a movie. For me this sort of thing happens with many classic songs and the theme that runs through them are memories of home and get togethers with family or friends. It’s interesting that the memories attached to those songs are really simple ones: having a family BBQ in the backyard or going to visit with friends. They weren’t special occasions and did not require elaborate planning. That’s not to say that going to Disney didn’t create spectacular memories, but big trips were usually few and far between. The most plentiful memories were those that simply involved spending time with people we loved. Reflecting on those memories makes me pause to consider how I spend my time today, and I hope it does the same for you. We live in a fast-paced society, and it is easy to get caught up in the busyness of our schedules. Yet there’s something inside of all of us that longs for a slower pace and being able to spend more time with others. It is in these quiet moments when we scroll through the images of those closest to us and certain feelings and emotions surface. This brings to mind the thought that perhaps our memories are not only fond remembrances of the past but are also gentle reminders of what the future could be. Sweet days of summer, the jasmine’s in bloom. July is dressed up and playing her tune. and you’re waiting there not a care in the world. See the smile a-waitin’ in the kitchen, food cookin’ and the plates for two. Feel the arms that reach out to hold me in the evening when the day is through. While it may be idealistic to think that life can be that simple, perhaps there are things we can do, minor adjustments we can make, that will enable us to re-establish or enhance our connections with others. For some may be that means taking every thought captive so that there is time to be deliberate about choices. For others it may mean redefining priorities, asking the question, “Is this still a priority?” Wherever you find yourself, the good news is that making memories does not really require a grand gesture to show how much we care for the other person, but it does require two uncompromising elements: you and your time. So, as you begin clearing your calendar, think about the invitations or opportunities you have passed over. Consider going to lunch with that friend you keep putting off because you’re too busy, invite your neighbor over for a backyard BBQ, or actually go on that date night you and your wife keep talking about. Whatever it is you choose to do, the important thing is to spend time with a loved one because it is during those moments when warm and lasting memories are made. “Let go of your stress and smile!” shouted the aerobics instructor over the loud music as she cheerfully encouraged the class to follow her lead. My first couple of negative thoughts were, “Are you kidding me? I’m lucky I made it here, and I’m not in a good mood because I’m really behind on several things that I had to set aside just to make it to class!” I won’t go into detail about my other negative thoughts but suffice it to say that I was tired, irritated, and stretched beyond capacity. As I mustered through the workout I wondered, “How did I let this happen?” I’m usually very good at time management but somehow I slipped this time around, and I was not in a good place. Have you ever been there too? You know, where your thoughts are racing a million miles a minute, time is running out, and it seems there’s absolutely nothing you can do to catch up??? As I looked around the room, I wondered if others were experiencing the same thing. There were a few individuals who looked intense—those who were at the front of the class—but others seemed to actually be enjoying themselves in the moment. I’m usually part of that latter group but not today. What happened? Thinking back over the week, I began to realize where I detoured: I watched a little extra TV a few days, I volunteered to help a friend at the last minute, and one night I stayed up late surfing the Web. While none of these things are detrimental in and of themselves, when added together they inevitably worked against me. Although I had fun doing each of them at the time, in the end I paid for it—dearly. As I said before, I wasn’t in a good place. Yet right on time my compassion reflex kicked it and as I sent myself positive messages (“You made a good choice to focus on your health,” and “You are getting back on track”), I felt my mind and body slowly begin to let go of the anxiety and tension, and I was able to focus on the workout with thoughts of getting healthy and feeling better. Once I realized I didn’t feel so stressed, I began enjoying myself and wouldn’t you know it—I actually smiled. I guess the aerobics instructor wasn’t too far off after all. Reflecting back later that day, I recalled two important life skills: boundaries and mindfulness. While exercising relieves stress and keeps us physically fit, practicing boundaries and mindfulness results in improved emotional fitness. When we establish healthy boundaries, we inevitably protect ourselves, which enables us to be responsible stewards over such things as our time. In turn, having healthy boundaries frees us up to practice mindfulness—having the capacity to be present in the moment and to connect with our senses and the environment around us. Good self-care not only includes taking care of our physical bodies but also requires active management of our emotional health. When we make both priorities, we ultimately safeguard our well-being which results in a manageable and balanced life. Are we always going to be perfect in practicing good self-care? No, my account above shows anyone can make a mistake from time to time, but the key is to recognize when you begin to take a detour and then take intentional steps to re-route yourself back to the skills that will help you to restore your emotional fitness. In her 99U talk—Why Your Critics Aren’t the Ones Who Count—Dr. Brené Brown gets personal and shares how she struggled in the wake of her success as she dealt with various, personal attacks wielded by critics in the public arena. Similar to how most of us would respond, Brené was devastated by the undeservedly negative criticism, yet it was precisely at this darkest time when she stumbled upon the following quote that radically changed her thinking and, as a result, changed her life. In her video Brené reveals what she ultimately learned about herself as well as life lessons—guidance that may be of benefit to us all. It’s not about winning or losing. It’s about showing up and being seen. If you’re going to show up and be seen, you will be criticized. That is the guarantee and the only certainty you have. So, you have to decide at that moment if courage is a value that you hold because criticism is a natural consequence. Brene’s philosophy about criticism—To the critics: If you’re not putting yourself on the line and just talking about how I could do it better, I’m in no way interested in your feedback. PERIOD. It’s so scary to show up, it feels dangerous to be seen. It’s terrifying, but it is not as scary, dangerous, or terrifying as getting to the end of our lives and thinking: What if I would have shown up…What would have been different? In the previous article we discussed known risk factors that characterize both individuals who become victims and aggressors who become bullies. In addition to these risk factors researchers have been successful at garnering a number of vital statistics that demonstrate the prevalence of bullying, who is being bullied and how those individuals are effected, as well as common methods used, including the use of emerging technologies. The statistics presented here are not meant to overwhelm but to inform and provide the opportunity to create a dialogue with family and friends based on real data. The more we can educate ourselves about bullying the better prepared we will be to spot it when it occurs and to take the right steps to ensure that it is stopped. Approximately 160,000 teens skip school every day because of bullying. 17% of American students report being bullied 2 to 3 times a month or more within a school semester. 1 in 4 teachers see nothing wrong with bullying and will only intervene 4% of the time. By age 14 less than 30% of boys and 40% of girls will talk to their peers about bullying. Over 67% of students believe that schools respond poorly to bullying, with a high percentage of students believing that adult help is infrequent and ineffective. 1 in 10 students drop out of school because of repeated bullying. As boys age they are less and less likely to feel sympathy for victims of bullying. In fact they are more likely to add to the problem than solve it. Physical bullying increases in elementary school, peaks in middle school and declines in high school. Verbal abuse, on the other hand, remains constant. Depending on the age group, up to 43% of students have been bullied while online. 1 in 4 have had it happen more than once. 35% of kids have been threatened online. Nearly 1 in 5 have had it happen more than once. 21% of kids have received mean or threatening e-mail or other messages. 58% of kids admit someone has said mean or hurtful things to them online. More than 4 out of 10 say it has happened more than once. 53% of kids admit having said something mean or hurtful to another person online. More than 1 in 3 have done it more than once. 25% of males and 20% of females said they had been either bullied, bullied others, or both 2-3 times a month or more. Males are more likely to experience physical bullying. Females are more likely to experience bullying through rumor-spreading and exclusion. Boys are typically bullied by boys, while girls are bullied by both boys and girls. What Is the Impact of Bullying? Those who are silent do so for reasons such as the negative messages they previously received about tattling and snitching, concern about retaliation, and lack of confidence in adults’ actions. 90% of 3rd – 5th grade students said they felt sorry for students who are bullied, but sympathy often does not translate into action. If you or someone you know has experienced bullying or if you are currently being bullied, talk with someone you trust and ask for help. There is no shame in asking for help, and you should continue to ask until you get the help you need. By opening up to someone you trust, you avoid the isolation that comes with being unsure, and you create the opportunity to receive guidance from those who can ultimately help. Bullying: Who is at risk? Due to the frequency of bullying incidents, a number of risk factors have been identified among those who fall prey to this type of aggression. While the presence of these characteristics does not automatically predict who will be bullied, they are factors to be mindful of and should be addressed when observed. In addition to risk factors for victims there are also identifiable risk factors for the aggressor. Teachers or coaches who show power and aggression by yelling, excluding, etc. In March we discussed the definition of bullying. Now, let’s look at the various types and what each involves. Additionally, this form of bullying can involve making threats to do physical harm if the bully’s demands (ex: giving up your money, other valuables, etc.) are not met. Racist Bullying involves making racial slurs, spray painting graffiti, mocking the victim’s cultural customs, and making offensive gestures. Sexual Bullying is unwanted sexual advances in the form of physical contact, abusive comments, gestures, actions, or attention that is intended to hurt, offend, or intimidate another person. Sexual bullying focuses on things like a person’s appearance, body parts, sexual orientation, or sexual activity. Cyberbullying – with the proliferation of electronic devices cyberbullying allows a person to target, torment, threaten, harass, humiliate, or embarrass another through the of posting personal information, pictures or videos. What differentiates this form of bullying from other types is the far-reaching and instantaneous impact it can have due to the various electronic platforms that are shared by all people: social media sites, email, chat rooms, instant messaging and texting. To a great extent cyberbullying is also persistent (24/7) because the information is live and remains continually accessible to all. Additionally, the offender is readily able to continue this form of bullying since it takes seconds to post offensive information online. If any of the information above is resonating with you because it seems a friend or family member is experiencing some of the same behaviors, talk with someone you trust and ask for help. Sometimes we don’t have it in our ability to fix the situation for one reason or another or, perhaps, we may be unsure that bullying is actually taking place. Either way, by opening up to someone we know, we can avoid the isolation that comes from being unsure. Moreover, creating a dialogue also creates awareness and provides the opportunity to receive guidance from individuals who can ultimately help. 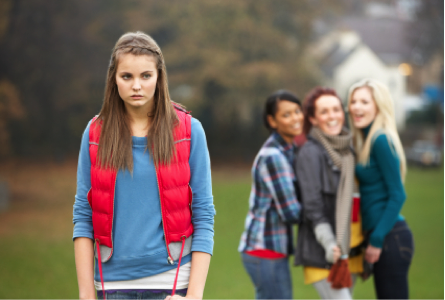 Is it my imagination or does it seem like there is a surge in reported incidents of bullying? I was led to this question because the topic of bullying appears to be frequently covered by the news media and reports can range from children bullying out on the playground to teens and young adults engaging in targeted harassment carried out online. In fact, a quick Google search for 2015 news articles related to bullying among children, adolescents, and teenagers netted several thousand results. Additionally, my brief search returned another somber finding: a recent meta-study now indicates a connection between bullying and suicide. As I began reviewing page after page of results, questions began flooding my mind: Who is this happening to? What are the warning signs? Where does bullying mostly take place? Why is this still happening, and how can we prevent it? I’m sure the same questions race through the minds of others after reading a news article or watching a TV report about the latest bullying incident. In an instant the desire to protect our loved ones wells up in us and simultaneously we feel compassion and want to help end these tragedies. Yet, we are all so busy and life seems to have a way of redirecting our thoughts back to our most immediate and pressing needs. Also, based on the number of Internet search results alone, it would take tons of time to sort through and dissect all of the information that is available and, understandably so, most of us are currently too tapped out for that kind of time commitment. Thus, it is my goal to provide you with helpful facts you can quickly read and readily use. Since this topic has many pathways of information, I will try to pair it down to what is most relevant and will include links in case you want to read further. Therefore, to begin we must understand what bullying is and be able to distinctly identify the nature of the behavior. Definition: Bullying is unwanted, aggressive behavior that involves a real or perceived power imbalance. The behavior is repeated, or has the potential to be repeated, over time. + An Imbalance of Power: Individuals who bully use their power—such as physical strength, access to embarrassing information, or popularity—to control or harm others. Power imbalances can change over time and in different situations, even if they involve the same people. + Repetition: Bullying behaviors happen more than once or have the potential to happen more than once. If any of the information above is resonating with you because it seems a friend or family member is experiencing some of the same behaviors, talk with someone you trust and ask for help. Sometimes we don’t have it in our ability to fix the situation for one reason or another or, perhaps, we may be unsure that bullying is actually taking place. Either way, by opening up to someone we know, we can avoid the isolation that comes from being unsure. Moreover, creating a dialogue also creates awareness and provides the opportunity to receive guidance from individuals and resources that can ultimately help.